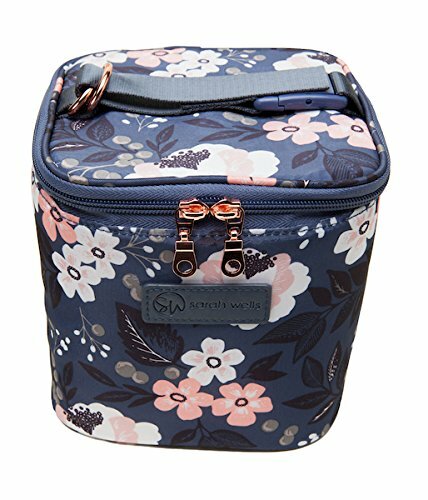 Are you a pumping mom looking for the best cooler bag for your expressed breast milk? Or perhaps a working mom who plan to return to work soon after your maternity leave ends. Without doubt, when you need to pump breast milk while being away from your baby, you need a cooler bag. But which breast milk cooler bag fits your need the most? In this article, we’ll discuss about 7 most popular breast milk cooler bags. I tried my best to explain the pros and cons so that you feel confident before buying that this is the best cooler bag for you. 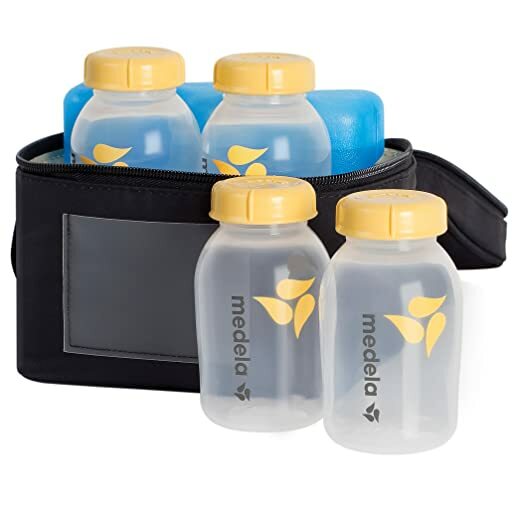 Medela breast milk cooler bag is very popular to store breast milk at work. It is compact, and comes with 4x 5-oz breast milk bottles plus contoured ice pack. This contoured ice pack works very well to give your expressed milk the cooling environment that it needs. Fits the side pocket of most trending breast pump bag (Sarah Wells, The New Yorker, Kaylaa, and more). Plain black color, not so attractive (if style matters to you). It’s not tall, bottles with teats attached won’t fit. 8-oz bottles won’t fit as well. Medela is one of the leading brand for all things related to pumping. No wonder their breast milk cooler has received more than 500 positive reviews. This cooler bag works like a portable fridge. It was not specifically meant for breast milk, but the cooling capability is superior (your room-temperature milk can become cold just as if you put inside the fridge). That's why I include this particular cooler here. There are dedicated compartments to put the ice packs, so the space is maximized for bottles and other things. Depending on the model, you will get 2 - 7 ice panels. You can choose to freeze only the ice panels or put the whole bag in the freezer overnight. Ample of space (can fit 3x wide-neck bottles -more if stacked with ample room for breast shields). 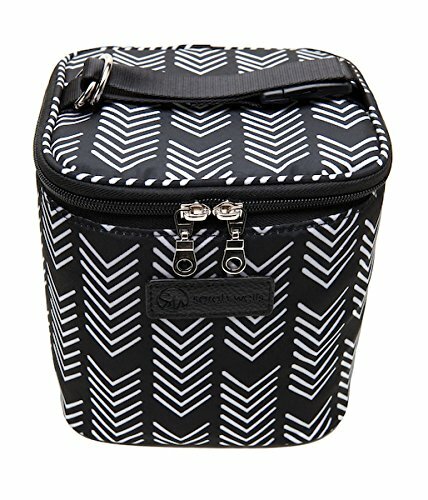 I used to bring 4x 4 oz Avent bottles and breast shields inside this cooler bag. Stay cold for up to 8 hours, can be more depending on ambient temperature. Suitable for storing the milk for the whole day (typical office hour). Plain color option: black, blue, not so attractive if style matters to you. A little bit bulky ( dimensions: 6.75" x 6.75" x 8") compared to other cooler bags. PS: I have written a more detailed review for Fridge to Go in this article (click here for more details and screenshots). Cold Gold is the recent product release from Sarah Wells. 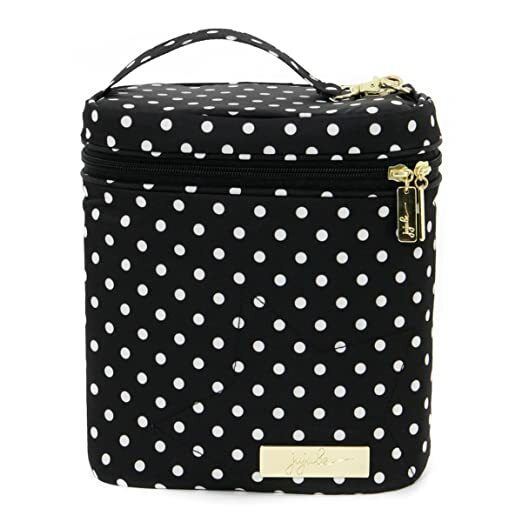 Though Sarah Wells have breast pump bags featuring insulated side pocket for storing milk, I feel that having a separate cooler works much better. It's easier to organize the bottle to stay upright. The Cold Gold cooler stays cold longer compared to the insulated pocket in the pump bag (8 hours vs 6 hours). Complements the Kelly backpack pump bag. Pretty gorgeous pattern, to match the Sarah wells breast pump bag / wet bag. 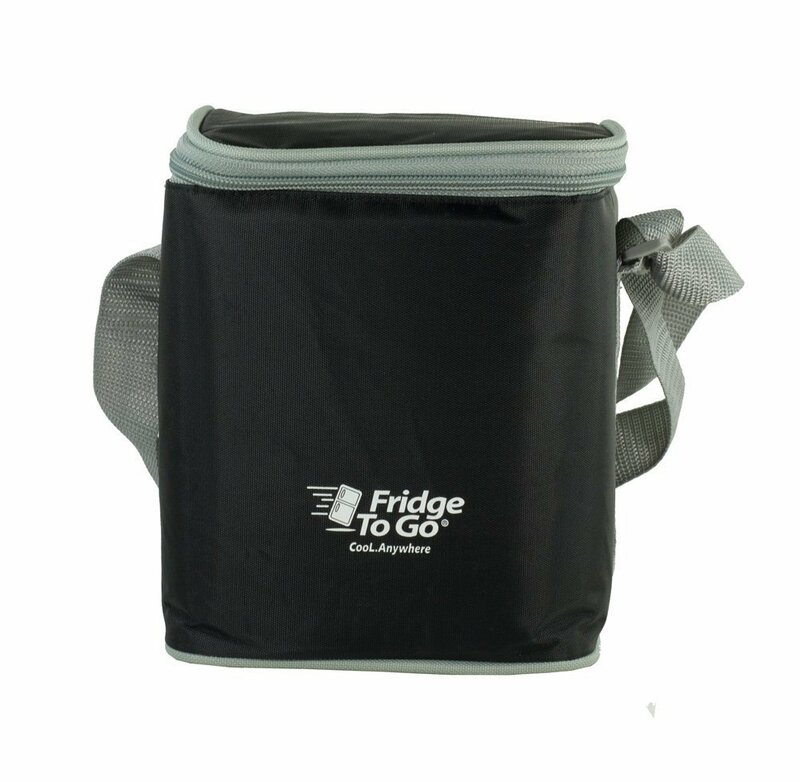 Stay cold for up to 8 hours, thus suitable for storing the milk whole day in the office. Can fit bigger bottles (e.g. 8 oz) or even mason jars. Include one mesh pocket in the inner flap opening. A little bit bulky (dimension = 6.5 x 6.5 x 6.5 inches), but designed to hold taller bottles (e.g. 8 oz), won’t fit in the side pocket of Sarah wells bag (instead, put it in the main compartment next to the pump). 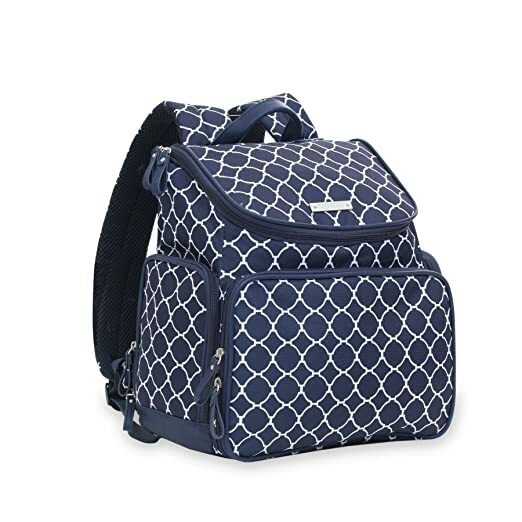 Even though it's less than 3 months since its release, this cooler bag has received great reviews from fellow pumping moms, making it the Amazon's Choice product. >>Click here to read other moms' review about Cold Gold cooler bag. This little cooler bag turns out to be not so little. 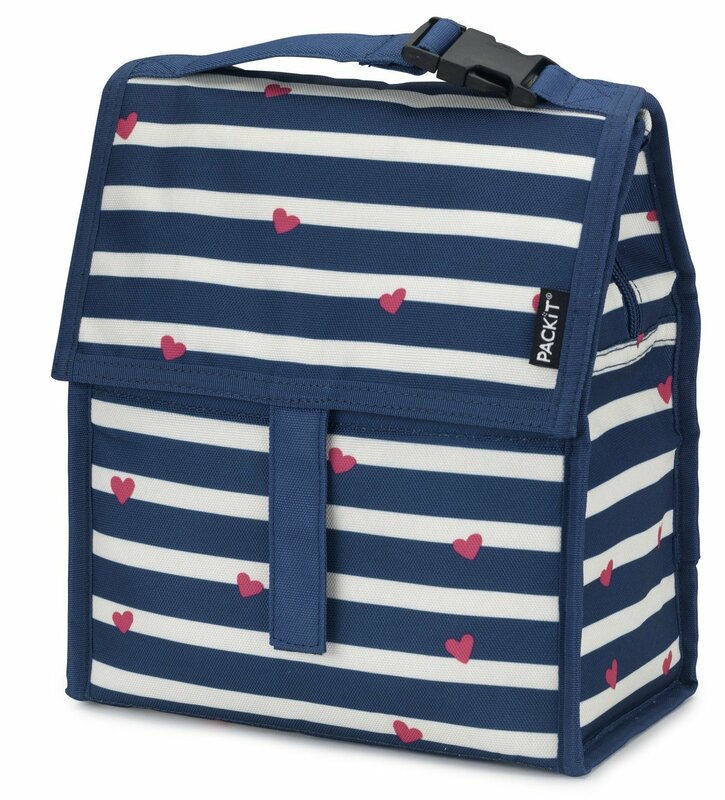 Though a lot of people buy this as a lunch bag, a lot of pumping moms swear by its use to store their expressed milk and pumping accessories. Some even use this as a mini breast pump bag (especially if you have a portable breast pump model). Ample of space (7 x 9 x 4.25 inches ). This cooler is bigger than Medela cooler bag. It can fit 4x 5-oz Medela bottles plus a portable pump (medela, Spectra 9, m1) and breast shields. Comes with strap with swivel clip (to hang in stroller or your other bags). Comes with clear zippered pocket on the top. Stay cold for only about 3 hours (so it is more suitable for breast milk storage during commuting back from work). Check out how you can use your Ju Ju Be Fuel Cell as a complete breast pump bag in the video below. 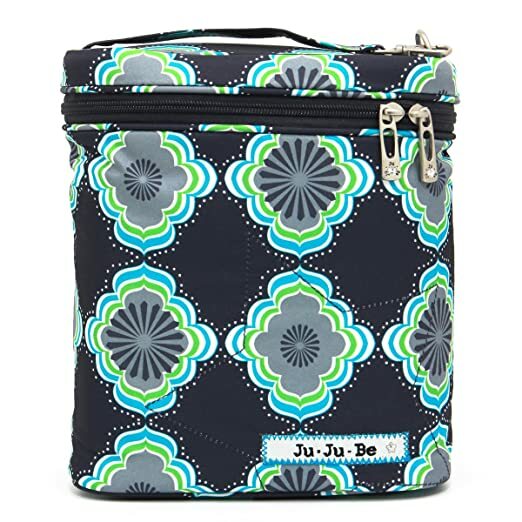 PS: If you prefer a set of cooler bag, staging mat, and a mesh organizer for your pumping accessories, you may be interested in Ju Ju Be's newer release: Ju Ju Be Be Pumped and Be Equipped. =>You can see a lot more Ju Ju Be Fuel Cell design here. This bag is special because it is foldable (when empty) and you don’t need to use any ice pack to keep things cold. The cooling agents were sewn inside. All you need to do is to put the bag in the freezer overnight and it will be ready to use. Ample of space ( 5" D x 8.5" W x 10" H ) to fit up to 5x wide-neck bottles. Some moms can even stuff a 9-oz bottle here! A lot of design to choose from. Cheaper compared to the previous 4. 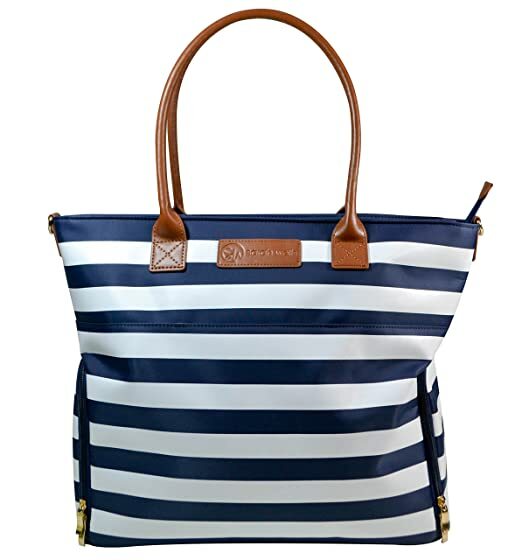 Comes with adjustable strap and detachable clip. 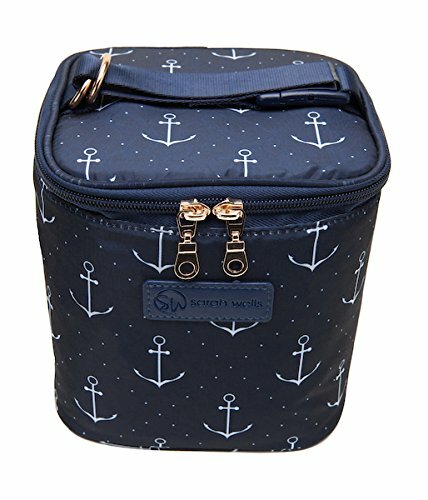 Though the manufacturer said this bag should keep things cold for up to 10 hours, most moms found it cold for only 3-5 hours. Use extra ice pack for longer cooling. 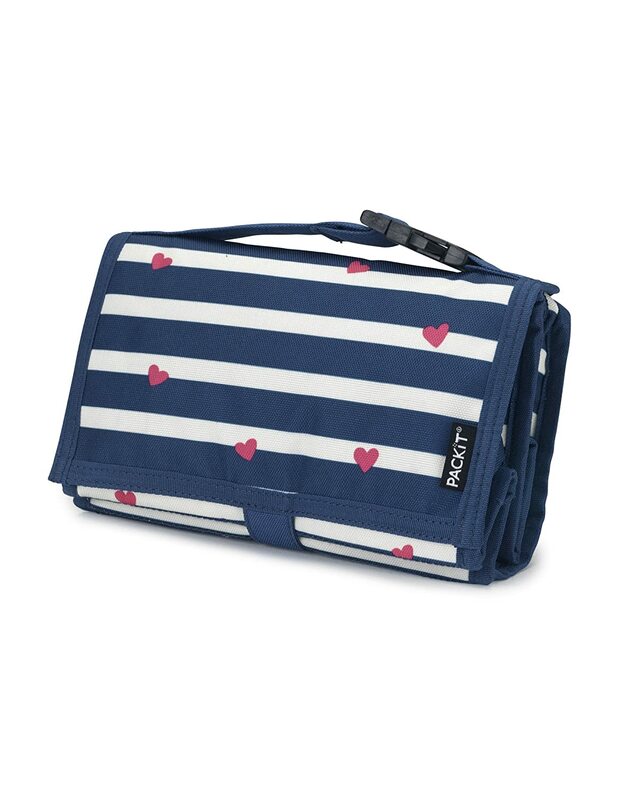 >> Learn more details about PackIt Freezable Bag in this page. 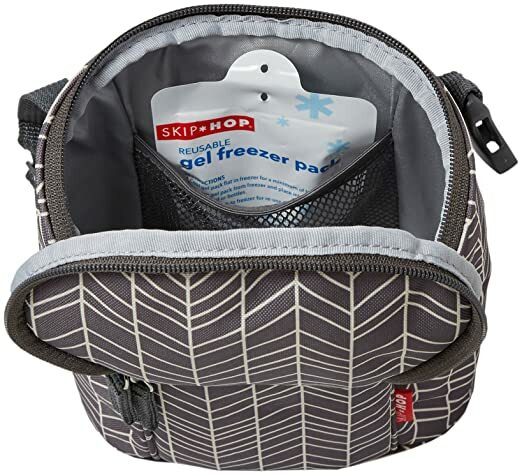 Skiphop Grab and Go bottle bag is designed to fit 2 feeding bottles with teats, which is great if you need to send bottles of expressed milk to a day care regularly. 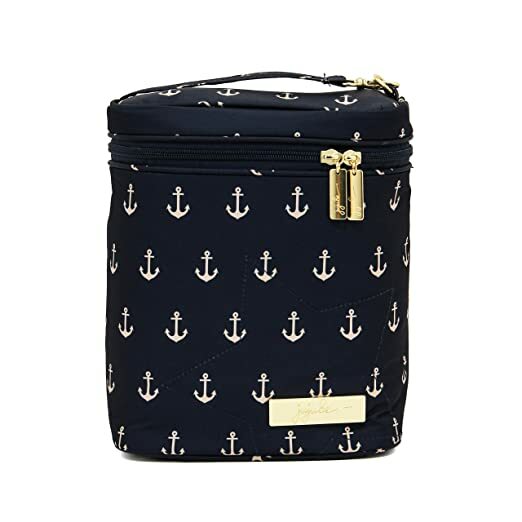 However, a lot of moms found out that this bag can fit even more bottles, and without the teats, there’s ample of space on top to throw in your pumping accessories. Not so many designs to choose from. 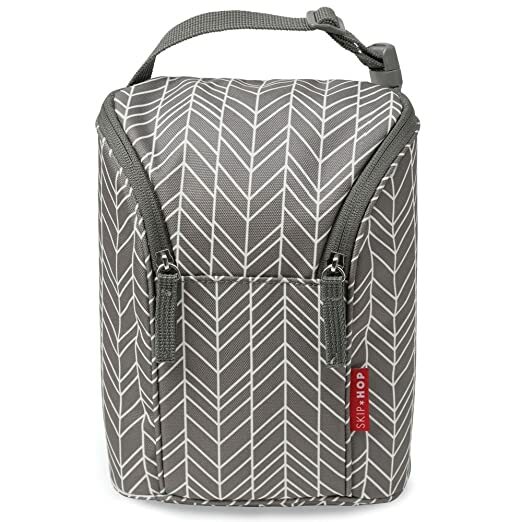 Though looks simple, Skip Hop Grab and Go bottle bag has obtained more than 500 positive reviews. Check out how other moms use it here. OK, breast pump bags are becoming more and more popular now. 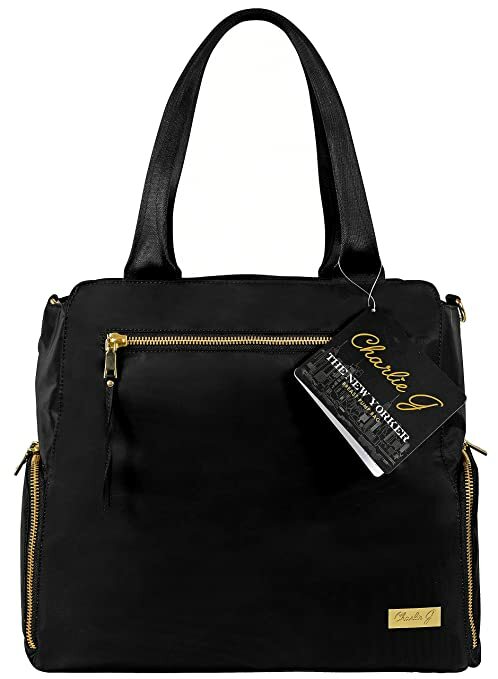 There are so many stylish design to choose from plus the bag type. Most of them includes a separate insulated compartment to keep breast milk cold for up to 6 hours. The price point varies across brand, from as cheap as $39.99 to somewhere close to $200. No need to get a separate cooler for breast milk. The insulated pockets can keep breast milk cool for about 6 hours. The pocket shape is not regular cube. May need careful arrangements to keep the bottle standing straight. Does not come with ice packs, you need to buy separately. You can check out various breast pump bag models here. I hope this article helps you to choose the most suitable breast milk cooler bag for your need. I personally used Fridge to Go cooler bag for 2 babies, what about you? Hi, unfortunately I have not used Hegen bottles before. Perhaps you can check the dimension of each bag and compare with Hegen bottle size? Thanks for this informative post! I would like to ask if the Fridge to Go bag here is the same as the Pigeon Fridge to Go bag in the link below? Both look so similar in pics and I want to be sure about this before making the purchase. Yes that’s what I used. Quite good, but if you can get the non-Pigeon one, would be better because Pigeon’s flap is only secured by Velcro. Must secure very firmly for better insulation.